This package has an assortment of Ephemera Die-cuts - Perfect for accenting, embellishing and documenting your Projects. 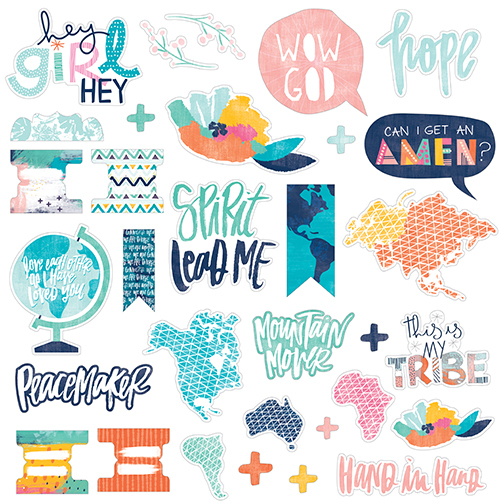 Part of the All People All Nations Collection by Illustrates Faith. Look for coordinating Cardstock Stickers and selected Designer Papers.